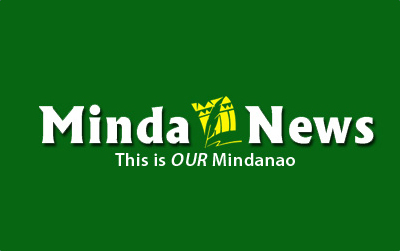 SURIGAO CITY (MindaNews/17 August) – Thirty-one people have been confirmed dead in a collision Friday night between two ships off Talisay City in Cebu as search and rescue operations for survivors continued this afternoon. The Saint Thomas Aquinas, a Manila-bound passenger ship of 2GO Travel which sailed from Nasipit in Agusan del Norte, collided with Davao-bound M/V Sulpicio Express Siete around 9p.m. Friday, according to the Philippine Coast Guard (PCG). As of 2p.m. today, the PCG said on its Twitter account that 629 passengers were rescued, 31 casualties were recovered while 172 were still missing and subject to search and rescue operations. 2GO president Jun Tagud told ANC 723 passengers and 118 crew members or a total of 841 people were on board Saint Thomas Aquinas, nine more than PCG’s total count. Tagud said the ship has a capacity of 1,010 persons. Coast Guard Cebu said that in less than 30 minutes after the collision the Saint Thomas Aquinas sunk. Coast Guard Cebu Station Commander Weniel Azcuna told radio station DYHP Cebu that the passenger vessel was heading for a stopover in Cebu on its way to Manila when it collided with M/V Sulpicio Express Siete. M/V Sulpicio Express Siete, a cargo ship, had 36 crewmen and officers on board. On Thursday the 2GO vessel docked in Surigao City to unload and load passengers before going to Nasipit, Agusan del Norte. Jaime Lim, 2GO supervisor in Surigao City, said 279 passengers from the city boarded the ship 22 of whom were children aged 0-2 years. Only five of those passengers were bound for Cebu and the rest were headed for Manila, he added. The accident occurred near Lawis Ledge off Talisay, where several vessels have previously run aground, according to Azcuna. MindaNews tried to call and text Azcuna, but to no avail. Several divers who helped in the search and rescue operations today said they found more bodies underwater. 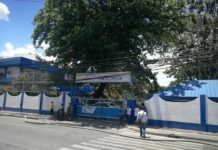 Anthony Bong Nator, president of Talisay City Aquanauts, however said the PCG told them not to touch anything they saw. Nator, a diving instructor and one of the volunteer divers, today said the Saint Thomas Aquinas sank to a meters of at least 55 meters, which is roughly equivalent to the height of an 18-floor building. The PCG said the ship went down to a depth of 120 feet. Jojo Piencenaves, terminal operations officer of the Philippine Ports Authority in Nasipit said they don’t have the addresses of passengers. Piencenaves said the ship left the port in Barangay Talisay, Nasipit for Cebu at 12:10 noon yesterday. He said that based on the list submitted to them the boat had a total of 841 passengers including the crewmembers. Sulpicio Lines, the owner of the cargo vessel, declined to comment on the incident pending results of an official investigation. On Dec. 20, 1987, the M/V Dona Paz, a ferry owned by Sulpicio Lines collided with oil tanker M/V Vector off Mindoro island, leaving an estimated 4,300 dead in the world’s worst peacetime maritime disaster. Fifteen major ferry disasters, including the Saint Thomas Aquinas sinking, have since occurred in the country. The National Disaster Risk Reduction and Management Council (NDRRMC) said in its progress report at 11:30a.m. today that injured survivors were treated at various hospitals in Cebu City. The dead victims were brought to Pier 4 for proper identification and subsequently transported to Cosmopolitan Funeral Parlor in Junquera Street, it added. The NDRRMC said the management of 2GO Shipping Lines provided relief assistance to survivors who were at the Pier 4 passenger terminal. 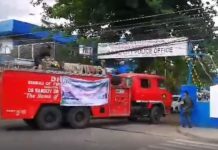 It said the Department of Social Welfare and Development Field Office 7 has P3,298,995 in standby fund P570,493.40 worth of relief food and P1,946,714.04 worth of non-food items to augment assistance if necessary.